The Marais Girard dryer uses the traductional principles of the tobacco dryers of Brétignolles sur mer. The building consists of a wooden frame which is built on a masonry base. Ideally exposed for the sun and wind, the walls are “latticed”: they are not supporting walls and are made from the old roof tiles taken from the farm buildings. 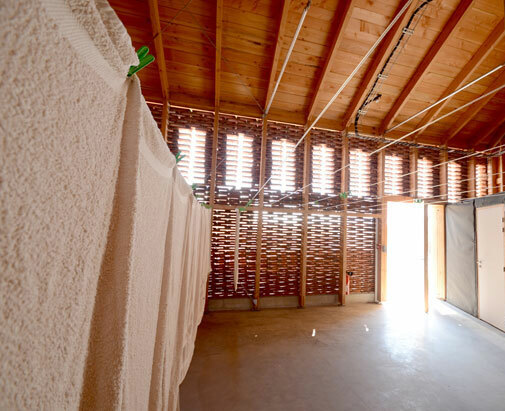 These latticed walls allow a natural airflow into the building: which creates perfect conditions for drying clothes.